Built to be easy to install, durable and simple to maintain, our Model 650 Mini Storage Door includes features such as a ratchet tensioner, a factory installed stainless steel latch and an enclosed barrel that houses a dead axle assembly. This door design can eliminate the need for upgrades or additional charges. Factory installed galvanized reinforced 16 gauge brackets (12 gauge for doors over 9’ wide or 8’ tall) are designed to easily snap onto the guides, reducing installation time. The Series 650 and its components are warranted to be free of defects in workmanship and material for three years. We have achieved wind load certification with the Series 750. The Series 750 was designed to meet strict wind load requirements for mini warehouse functions while still providing the best operation in the industry. The new innovative design has minimized the locking and reinforcement needed to strengthen the door to pass harsh wind load testing. We have once again raised the bar with the Model 1000. The Pre-Assembled Industrial Door (PAID) features the traditional dependability and sturdiness of a commercial overhead door, while significantly saving time and money during installation. How? The push-up operation comes with brackets and tensioner pre-assembled. In addition, the guides install to jamb as a single assembly. Pre-assembly from the factory means less time spent on installation, therefore saving you money. Backed by a one year warranty, our PAID Model 1000 is a solid and practical investment for commercial/industrial usage. The most traditional rolling sheet door in the industry. The model 2000 is the traditional rolling sheet door. Time-honored and established, it is dependable and sturdy. Used in a variety of field applications, it provides an economical alternative to sectional or slat doors. Installation is quick and the cam action device allows for easy adjustment of the springs at the same time. Backed by a one year warranty, it’s a solid investment for commercial usage. The Model 2000 offers special features for industrial installations. Model 2000 has the deepest guide engagement in the industry and universal fastening guides. With the Model 2000's toughness and low maintenance, your door is sure to have an unequaled quality and value. Heavy Duty Commercial Sheet Door. The model 2500 is the traditional over head door. Time-honored and established, it is dependable and sturdy. Used in a variety of field applications, it provides an economical alternative to sectional or slat doors. Installation is quick and the cam action device allows for easy adjustment of the springs simultaneously. Backed by a one year warranty, it’s a solid investment for commercial usage. The Model 2500 offers special features for commercial installations. Model 2000 has the deepest guide engagement in the industry and universal fastening guides. With the Model 2500's strength and low maintenance, this is sure to have an unequaled quality and value. Our certified wind load rated Model 3100 roll up garage door meets or exceeds some of the most stringent building codes. Labratory tested for durability and strength, this door design offers smooth operation, quick installation and more user friendliness than similar doors offered by our competition. The 26 gauge corrugated curtain is manufactured from full hard galvanized grade 80 steel and coated with super durable polyester paint that is backed by a 40 year film integrity and 25 year no-fade limited paint warranty . Independently tested in accordance with ASTM-330, the series 3100 meets requirements of Standard Building Code, International Building Code and Florida Building Code . Design wind load is rated +36 PSF and -41 PSF for opening widths through 12’0” and +35 PSF d in over 20 different standard colors. The Model 3400 is a certified wind load rated overhead door that meets specified wind loads required by even the most stringent building codes. Laboratory testing proves how durable and strong this model really is. The quick installation and smooth operation, particularly compared to doors by the competitors, further demonstrates how user friendly this door is. The 24 gauge corrugated curtain is manufactured from full hard galvanized grade 80 steel and coated with Super Durable polyester paint that is backed by a 40 year film integrity and 25 year no-fade limited paint warranty . Independently tested in accordance with ASTM-330, the series 3100 meets requirements of Standard Building Code, International Building Code and Florida Building Code . Design wind load is rated +36 PSF and -41 PSF for opening widths through 12’0” and +35 PSF d in over 20 different standard colors. We run our business efficiently passing the savings to our customers. When it comes to providing state-of-the-art roll up doors that fuse quality with durability, no-one knows better than us. We are a U.S-based company, and our cutting-edge service doors are the perfect choice for both commercial and residential settings. Over the past 10 years, we have evolved into a leading name for both small and large companies alike. Thousands and thousands of our rolling steel doors are in operation all over the world, every day of the year. Shop today or call us for a free quote. 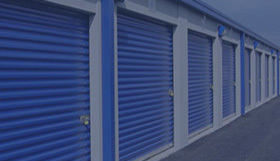 We offer features such as certified wind load rated, 26 gauge steel curtains and insulated doors. All our overhead door systems above 10x10 come with reduced drive chain hoist and our products offer special features for commercial install. Our model 2500 is a heavy duty metal door with 12 gauge components. Our P.A.I.D. (pre assembled industrial door) are great for mini warehouse, shop, residential and shed use. If you need rolling steel doors check out our door models such as the Model 1000 which offers special features for easy installation. The Model 650 and Model 750 are ideal for light use in a residential home setting, as a shed door or work shop door. Model 3100, Model 3652 and Model 3400 are certified wind load rated and offer extra security with the Guide rail locking system. Many of our customers ask us: "How are you able to offer such high quality for such a low price"? 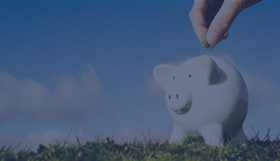 Seeing as we run our business like a well-oiled machine, we are able to pass our savings onto our customers. We believe in building a diverse range of high-performance rolling steel doors designed to provide real results in real-word environments. We’ve already delivered thousands of service doors on a global scale, and your first-class delivery could be next. Find a Door that fits your style. Your business has never looked so good with one of our high quality products. Choose from many styles and customize it. Get a free quote and speak with one of our expert representatives. Find out how we can help you save money when you buy from us. Roll Up Doors Direct, where you get more for less.